FriendGrief: What’s New on Friend Grief? 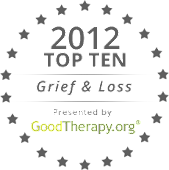 What’s New on Friend Grief? I always considered the first day of school to be more like the start of a new year than January 1st: lots of new beginnings and excitement (not to mention shopping for new clothes and supplies). 1. I’ll be a guest on Madeline Sharples’ website tomorrow, August 28, talking about how my writing made me an activist - again. 2. Through Labor Day, I’ll donate 25% of the price of the paperback and e-book versions of the second book in the Friend Grief series, Friend Grief and AIDS: Thirty Years of Burying Our Friends, to Broadway Cares/Equity Fights AIDS. 3. Next week I’ll reveal the cover and give you an excerpt from the next book in the series, Friend Grief and 9/11: The Forgotten Mourners, which comes out September 11. 4. I’ll be a guest on Audrey Pellicano’s blog talk radio show, GriefTalk, on September 10, talking about my books. 5. On September 26, I’ll be a guest on Kathleen Pooler’s Memoir Writer’s Journey, talking about…well, you’ll just have to check it out. 6. A report on our next Death Café in the Chicago area. 7. Information on the fourth book in the series, Friend Grief and Community: Band of Friends, about the military. 8. Book signings and Goodreads giveaways. 9. And that’s just September! So check back often, for all this and more, as I share stories about people who have gone through the same experience you have – grieving the death of a friend. You’re going to meet some terrific people who mourned and struggled and laughed, and ultimately found a way to carry the memory of their friends with them every day.